With a career spanning over 30 years, Ed Hamilton has created a body of work depicting some of the most well known Americans throughout history. From Abraham Lincoln to Martin Luther King, historical figures to athletes, Hamilton's commissioned monuments, plaques and personal works tell the story of America and shows the rich diversity represented in our culture. 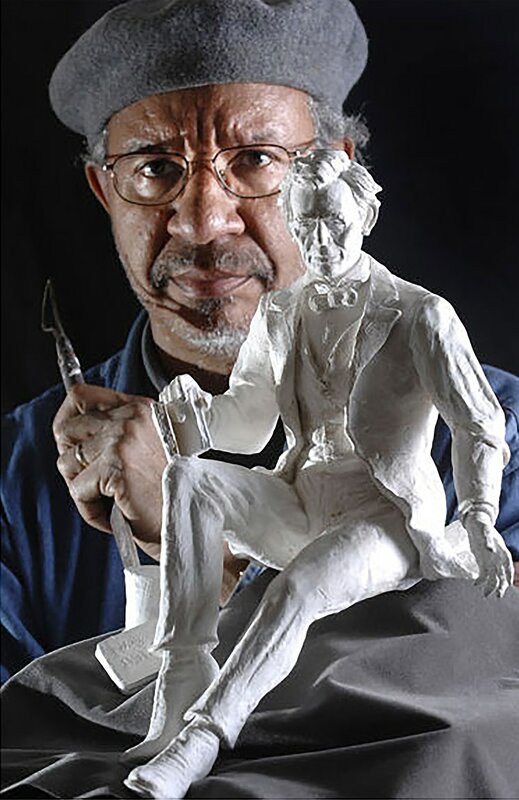 Classically trained, naturally talented and internationally recognized, Hamilton's passion for sculpture has given him the opportunity to share his love of art with the World. © COPYRIGHT 2017-2020. Ed Hamilton Studios Inc. ALL RIGHTS RESERVED.